All my photographs are printed on archival photographic paper printed using the Lambda C-41wet process. Clients are free to mount and frame their photographs as they please or I can arrange mounting to aluminium at cost price. I recommend mounting to 2mm aluminium with a matt seal applied to the surface. This provided the most stable substrate for the print and the matt seal protects the print from the atmosphere and makes it possible to diplay the photograph without using glass therefore eliminating any reflections. The surface can then also be dusted and even wiped clean with a damp lint-free cloth. 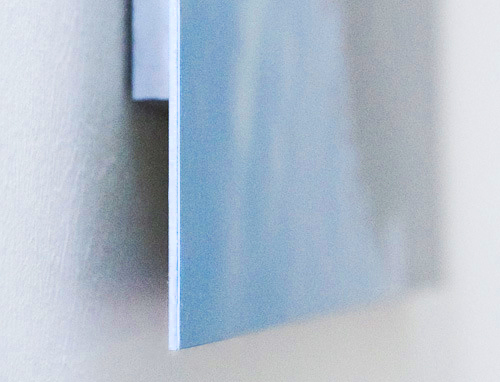 For a simple minamilist hanging approach, the print can be fitted with battens on the reverse so that it can be float mounted on the wall with all fixings hidden. This is particularly suited when there will be plenty of uncluttered space around the photograph. 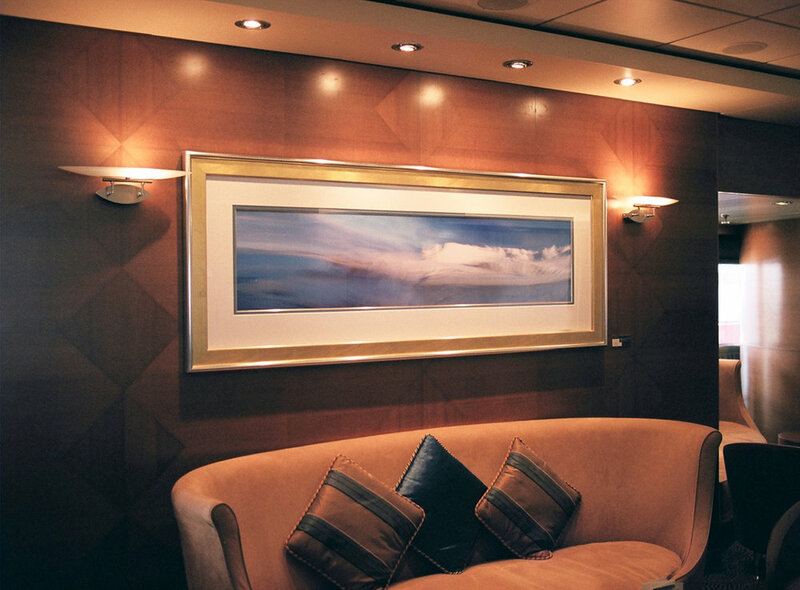 If a frame is required, the print will first need mounting to aluminium and then framed, ideally with a simple tray frame. Traditional glass frames could be used without the need for mounting, but the print may not be held perfectly flat and there is a risk of the print slipping over time. I recommend a simple white hardwood frame as shown below and am happy to provide contact details of framers who can frame in this way. 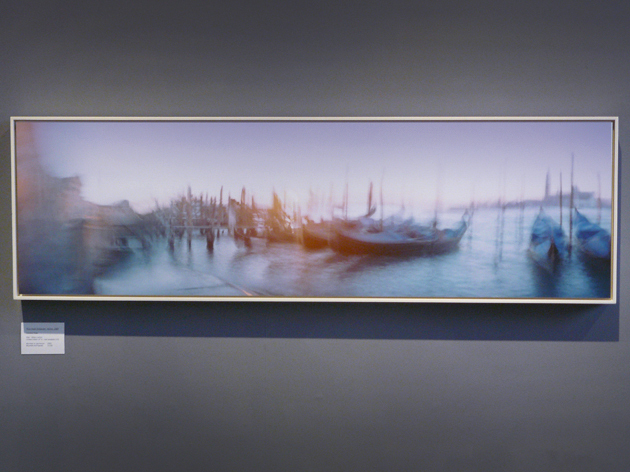 Photograph mounted to aluminium and then framed in a white hardwood tray-frame. 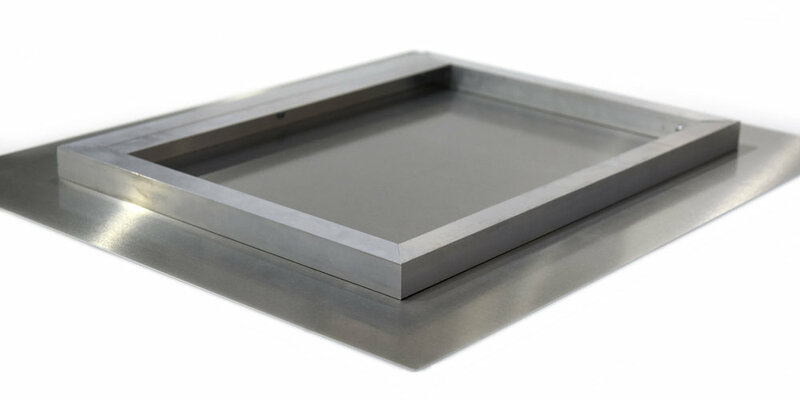 5mm all-round air-gap, slim 7mm thick frame with eggshell finish. No reflections - no glass.